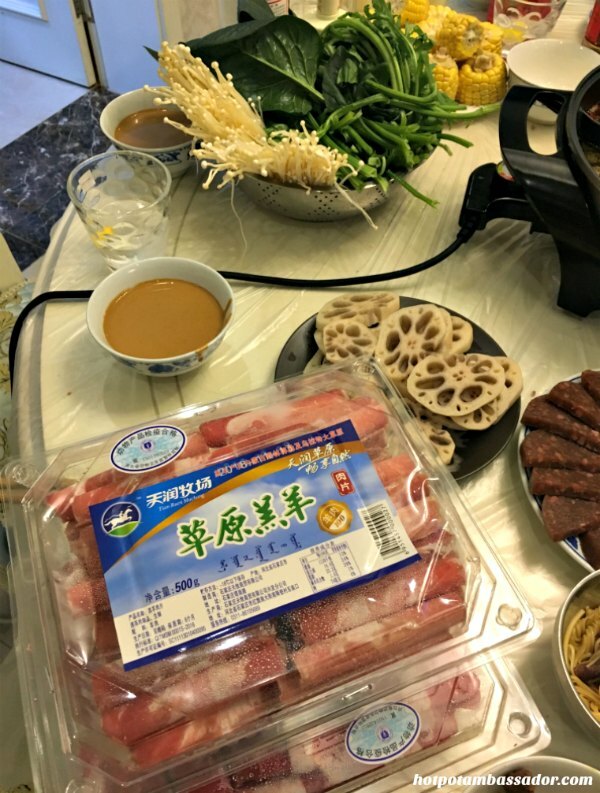 In Hotpot Stories, contributors share their hotpot experiences, favorite dinners, and tips & tricks. 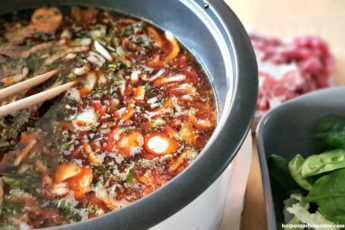 This week, Jeremy Bai on his hotpot farewell parties, and his top 3 tips for preparing hotpot at home. After eight years of living in China, I can honestly say that I have never grown tired of hotpot. 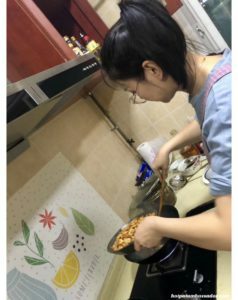 Now, I’m on the eve of leaving China and returning home to the United States, and the time has come for a slew of farewell meals and parties. 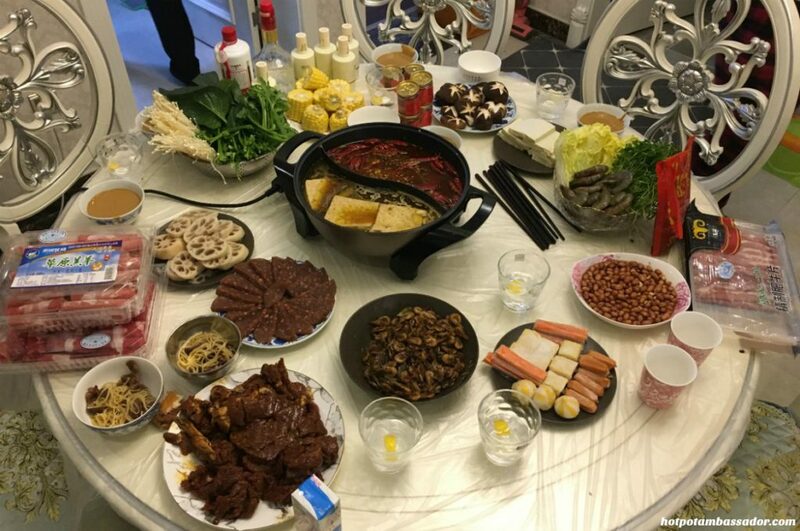 This week, we were invited to a goodbye dinner at a friend’s house, and much to my delight, we had hotpot. 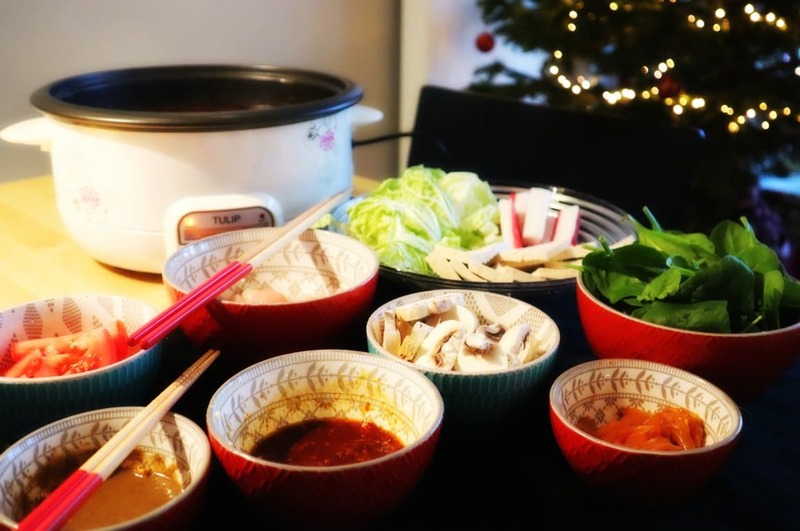 Hotpot is actually the perfect meal to serve guests, for a number of reasons. For one thing, the budget for the meal is entirely flexible. If you want to keep costs down, you can opt for cheaper vegetables and inexpensive frozen lamb, with a simple broth. If you want to splurge, you could go for jumbo prawns and fresh, seasoned beef, with a more expensive broth mix from a fancy restaurant. For this occasion, our meal was a combination of both. Included on the menu were silver-tip mushrooms, spinach, fresh spicy-marinated beef, frozen lamb slices, prawns, tofu, corn, and lotus root slices – a nice combination of expensive and inexpensive ingredients. My friends happen to own a hotpot restaurant, and they provided the broth. 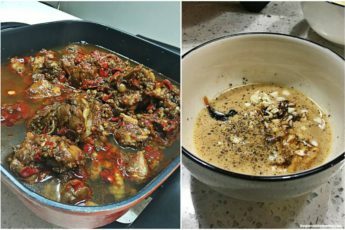 One was a traditional Sichuan-style spicy broth, the other was a sort of experimental Japanese-style broth with unique spices that are not common in Chinese broths. I mostly stuck to the spicy side of the pot throughout the night. 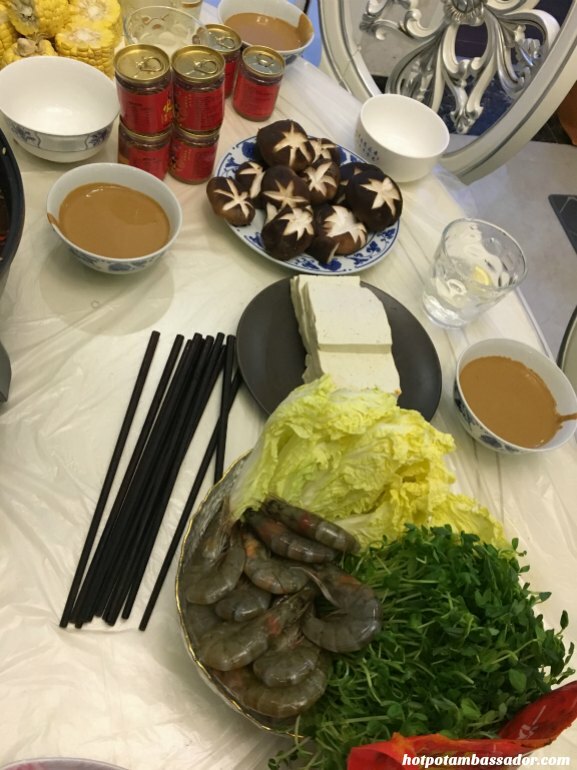 As is also customary, a few side dishes were served, such as marinated peanuts, stir-fried baby shrimp, and grilled pork. Not including alcohol, the total cost of this meal was approximately around ￥300 ($45). That’s for six people. Not a bad deal. Speaking of alcohol, since this was a goodbye dinner with three married couples, myself and the other two other husbands did not hold back. 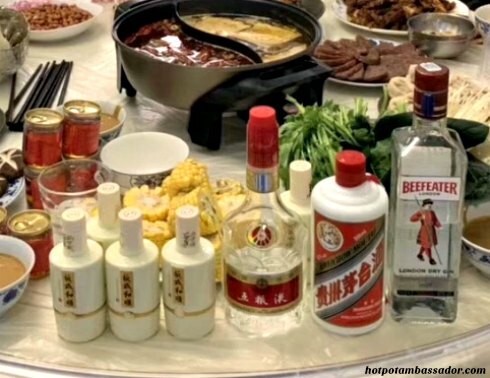 As you can see, we had three different types of baijiu [Chinese liquor], with a bottle of Beefeater to make gin and tonics. (Beers were in the fridge as a backup for when we finished the baijiu). Another great upside to a hotpot dinner at home is that you do not risk a dinner disaster by potentially burning, overcooking, undercooking, or improperly seasoning whatever dishes you cook. The prep work is usually fairly simple: cut up all the ingredients and put them on plates. Provide an appropriate dipping sauce, plus beverages, and you’re fine. 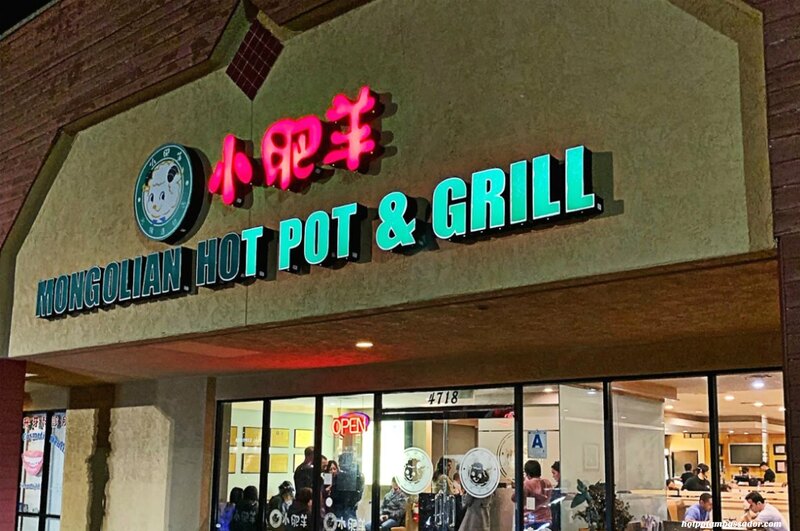 All in all, whether you live in China or in another country, buying your own hotpot to use for gatherings is a great investment. For this dinner, I provided the pot, which I bought a while ago and has seen many, many uses. 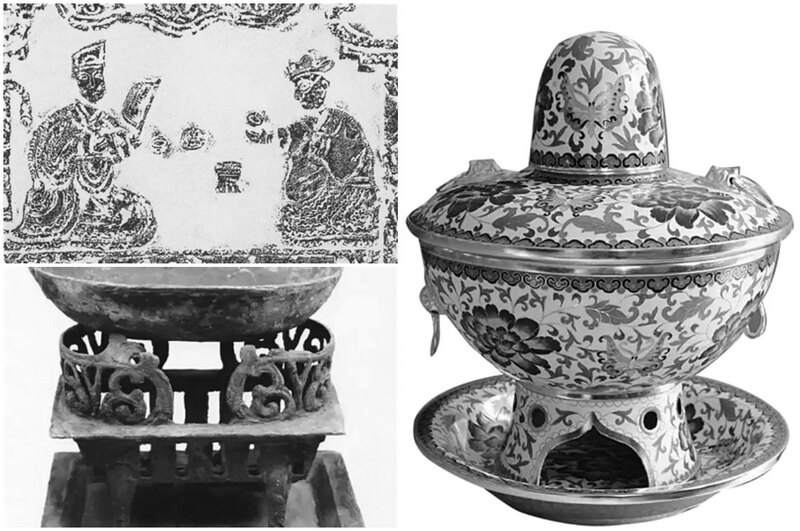 It’s a Midea “yuangyang” or “mandarin ducks” pot, perfect for mixing spicy and non-spicy broth. It set me back about ￥150 ($20). 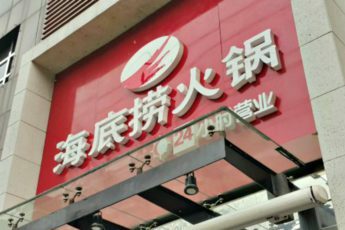 If you’re in China, just search for “鸳鸯锅美的” (Yuānyāngguō Měide) on Taobao and you will find it fairly easily. 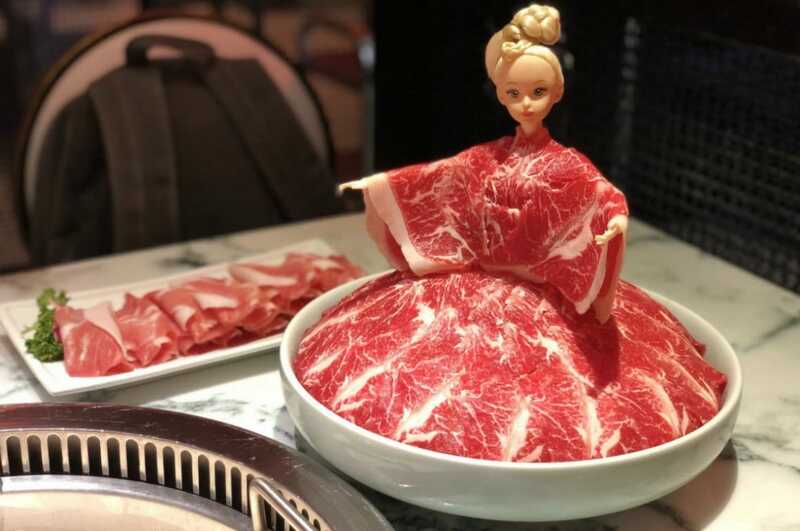 Although I’m sad to be leaving China, rest assured, I’ll be taking a hotpot with me. 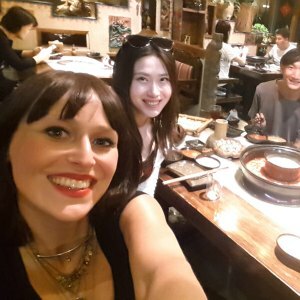 And I’ll definitely be enjoying all of the hotpot farewell parties to come! 1. Make sure you provide the right type of dipping sauce. Where I live in North China, that means sesame sauce (you usually have to mix it yourself, starting with a very thick paste that you mix with water), plus chopped garlic, cilantro and perhaps some chives. 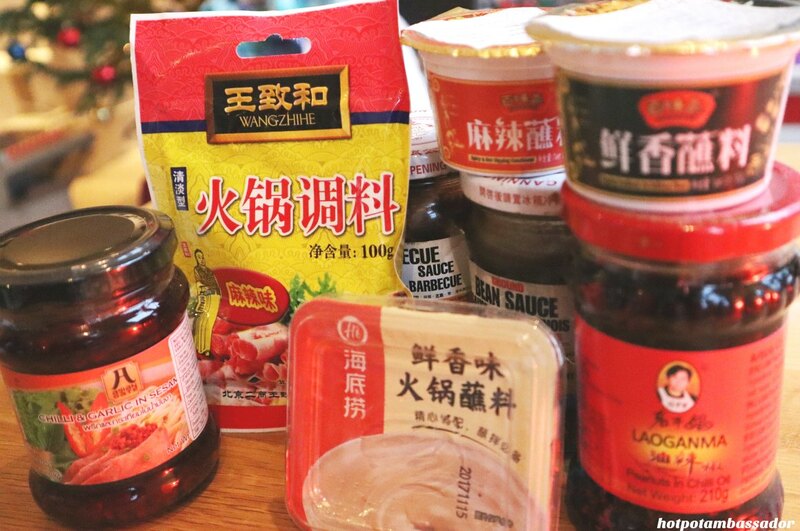 Other things you can add for variety include oyster sauce, Chinese black vinegar, black pepper, chili pepper powder, sesame oil etc. I’ve even been known to add some Western things like Worcestershire sauce or olive oil. Local customs vary, so ask around amongst friends if you’re not sure what’s best for your location. 2. Think ahead regarding cleanup. Usually cleaning up is fairly simple, but you do have to dispose of a big pot of broth. Depending on what type of broth you are using, you might not want to just pour it down the drain, especially if it has a lot of oil in it. One option is to use a big sturdy garbage bag. Another option (usually during winter) is to leave the pot outside until the oil collects and hardens on the top, scrape it off, and then pour the watery stuff down the drain. 3. Consider ventilation. 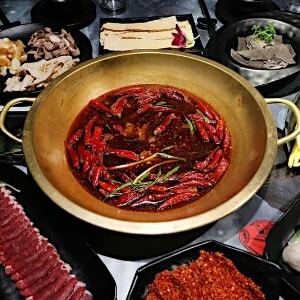 You will likely generate a lot of steam, a well as a very strong hotpot odor that can linger in your house for a long time after finishing the meal. Some people like that, some people don’t. If you don’t, make sure to close doors of any rooms you want to keep free from odor. And depending on the outside temperature, open a window or two for a bit of cross-breeze.